Students fill Sanders Theatre at Harvard for the popular introductory computer science class, CS50. Trevor Brandt-Sarif had no interest in computer science when he arrived at Harvard in 2011. Philosophy was his thing. Writing code? That was for those kids at MIT. But while taking the requisite Introduction to Ancient Philosophy, Brandt-Sarif also veered about as far as you can from Socrates, Plato, and Aristotle in a Harvard classroom: He enrolled in the wildly popular computer science course, CS50, joining hundreds of other undergrads to learn what has become the language of the 21st century. In just a few short years CS50 has rocketed from being a middling course to one of the biggest on campus, with nearly 700 students and an astounding 102-member staff that includes teaching fellows, graders, and multimedia producers. 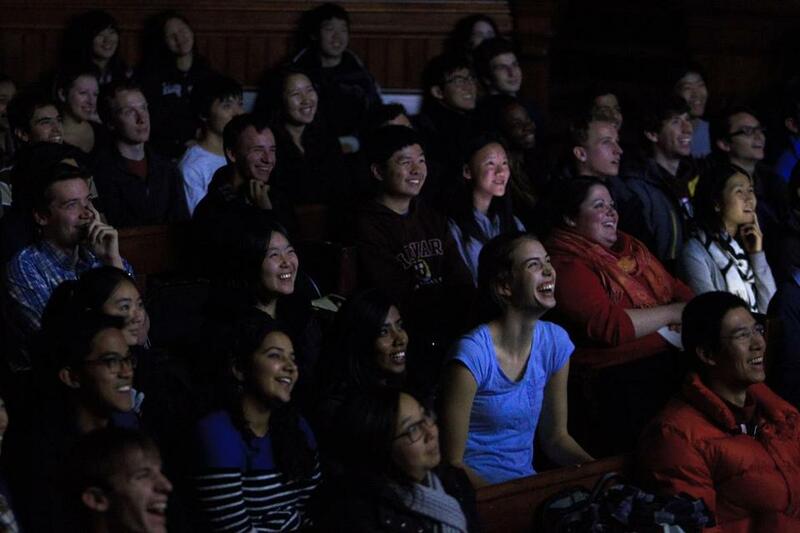 Classes are so big lectures are held in Sanders Theatre and office hours so crowded it looks like a tech start-up. Alana Ganz is a pre-med junior from Pittsburgh who enrolled in CS50 because of the increasing role computers play in the study of molecular and cellular biology, her current concentration. What makes CS50’s popularity all the more striking is that it is no easy A. Students regularly rank it among the hardest courses at Harvard University. Even though it is an ancillary subject for her, Ganz said she spends 10 hours a week alone on CS50 course work. Like Ganz, most students who take it did not come to Harvard burning to launch their own tech start-ups. But these Digital Natives — the generation that grew up with the Internet and smartphones — see technology as something they need to know regardless of what careers they follow. “What’s happened over the past 30 or 40 years is that every other science has become dependent on computer science,” said Harry Lewis, a former Harvard dean and current computer science professor who earlier in his career taught both Bill Gates and Mark Zuckerberg — before each dropped out to become among the most famous tech entrepreneurs of their generations. “We want to be part of the world as the world actually is, and information technology is scientific, commercial, and a social phenomenon in American society,” Lewis said. Beyond sheer popularity, the success of CS50 is also emblematic of how Harvard is righting an imbalance in academia, putting it on a level field with the Massachusetts Institute of Technology and Stanford University. Long eclipsed by its two rivals for supremacy in technology fields, Harvard is fast becoming the kind of hotbed of innovation and start-up activity that draw venture capitalists and wheelbarrows of investment money. “I thought MIT was my dream school,” said Gabriel Guimaraes, a 20-year-old Brazilian student who dropped his plan to attend MIT after he sampled an online version of CS50 while a high school student. With Malan’s permission, he translated the course to Portuguese and began teaching it to other high school students in Brazil, before graduating earlier this year and enrolling in Harvard. A freshman, Guimaraes skipped ahead to become one of Malan’s many teaching fellows. “CS50 made me look at Harvard with new eyes,” Guimaraes said. That is a sea change from what Harvard represented to the outside world for decades: the guardian of a classic education, where the value of learning is for its own sake. What would Eliot make of his campus more than a century later? Those “practical ends” will be the anchor of a huge campus Harvard is building in North Allston, with a new Harvard School of Engineering and Applied Sciences building a prime beneficiary of the university’s new $6.5 billion fund-raising campaign. Just a few years ago, engineering was a division; now it is a full-fledged school of its own. Lewis, the former Harvard dean, said the popularity of CS50, as well as the technology zeitgeist sweeping campus, is “a major institutional shift” for a university that once considered teaching practical skills beneath it. “In the late 19th century, it was considered fine for MIT, but a real college student shouldn’t have their mind polluted by thinking about anything useful,” Lewis said. CS50 has also become its own brand at Harvard. There is merchandise, such as “I took CS50” T-shirts, events such as student fairs and hackathons. Class lectures are multimedia productions that would be the envy of a broadcast production. Malan typically has several videographers and other technicians recording each lecture for students to review online later. There is so much material that Malan plays a blooper reel of gaffes at the end of the term. He can afford the light touch. Malan and CS50 seem a safe bet to remain popular at Harvard, and school officials predict that eventually most students, regardless of their concentrations, will want to learn how computers work. Michael B. Farrell can be reached at michael.farrell @globe.com.